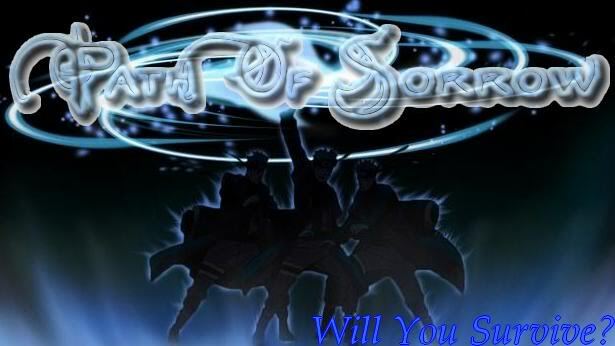 Description: The most devastating Kenjutsu created throughout the history of the 5 great villages. This of course, being a title given from those who know of this technique, and the creator, as well as the master of this technique. Throughout the years, this technique has been considered a Kinjutsu, everyone who attempted to learn this technique, was killed from it. All but 2 people. When using this technique, Revy must seed a large amount of chakra throughout her entire body, and concentrate it, building it up rapidly through her chakra control. To execute this technique, all of that chakra is released at once through every part of the body, including engulfing the weapon used, though, the chakra is unseen to the naked eye. When this chakra is unleashed, it adds an INSANE amount (Approximately x80%) to Revy's speed, and raw strength, for this technique. Once that bonus has been added, Revy will immediately disappear from sight, using her speed, that's equivalent to a high ranked Shunshin No Jutsu, to where the eye can not follow. But in this case, most of the time, nor can the instincts or mind. Once doing so, after anywhere from a second - 1 minute, Revy will reappear directly near the target, and swing her sword at them with an insane amount of force. If this technique hits the target, it is capable of blowing their body to shreds immediately, as well as creating a large force of power that wrecks and destroys the ground, as well as anything behind the opponent, leaving what looks like a giant 90 degree crater, that extends to about a 50 ft length behind them. If by any chance the initial blow is blocked, or this attack comes into contact with some kind of defense, the air is displaced by the power and impact of the first blocked blow, shattering the air around the opponent and drawing the opponent in, towards Revy, while unable to move. The second blow uses the pent up force from the first to accelerate the blow, thus hitting them with a more powerful hit the second time around. The only logical way to avoid this technique is to avoid it completely. The only type of defense capable of defending against this technique is that of an S rank, and even then, depending on what the defense is, the opponent has a very high chance of still coming out badly wounded. When Revy executes her first swing, the swing is slightly slow, but fast enough to still catch someone off guard. Thus, giving the enemy time to move, and take minimum damage from the power applied to the swing, or no damage at all. Once again Revy was visiting the training fields of Kumogakure, in order to train for a technique she had been working over the past few years. A technique that only one person before her had ever mastered, and his name is unknown to this day. A true master of Kenjutsu, capable of manipulating the very existence of life through his sword. But those are just titles given over time. The strongest of his techniques was a Kenjutsu attack known as Amakakeru Ryu no Hirameki. Or "Heaven's Soaring Dragon Flash". A technique that only he was able to master, up until this day. Amakakeru Ryu no Hirameki is a Kenjutsu technique capable of killing it's own user with such ease, that all who tried to learn the technique were killed in in it's practice. Save for it's original master, who is long deceased, and Revy Izumi, a master Kenjutsuist. Revy, who was adorned in her regular outfit, being her white wrappings around her skin, save for the small slit opening near her stomach, and the large skirt cloak she wore around her waist, made her way to a previous area, she had once trained Fuuinjutsu at. At her arrival, she was glad to see that no one was out here, doing any training, so she created as much distance as she could, between her, and the village. Making it much less likely someone were to wander by where he was training, and possibly get hurt. After settling in, she drew her long sword off her back, and held it straight out into the air. After doing a few warm up swings, she was finally prepared to begin her training for her technique. Revy approached a large forest of trees, where she decided she would begin practicing her technique. After taking a basic Kenjutsu stance, she began focusing chakra all throughout her body. After a moment of focusing, she began seeding the chakra, and concentrating it, making it thick and powerful, in every inch of her body. The amount was that of a usual S ranked technique, thus she may only be able to perform this technique a few times before being completely worn out, and at a loss of chakra. After enough concentrating, she opened her eyes quickly, and immediately disappeared with a large ghust of wind. Where she had disappeared to, was unknown. Left, right, back, forward, up, any of these directions, and anything in between she could have gone. Whe she had disappeared to was unknown, until she finally revealed herself, except with tremendous speed, appearing right in front of a large tree. The instant she appeared, she was already in this stances technique, and she swung her sword towards the tree with immense force. The air around the tree began to cut up, and whip around with an insane force, and the moment the sword made contact with the trunk of the tree, the tree was already torn to nothing but shreds of wood. That, as well as multiple other trees, as well as a large crater in the ground at a 90 degree angle from there the first tree was. There was nothing left but a huge gape in the ground, and sliced up chunks of tree's, and few surviving tree branches with many bushed leaves still on them. This was only one part of the technique, as it also has a second, secret ability of which is only activated if someone is able to parry, or stop the initial attack in it's tracks. Revy made her way away from the trees, and sat down for a moment. Just that simple attack had it big on her chakra, and energy, though she was a Kage after all, and she was skilled with Kenjutsu, and preserving her energy and ckara for later use. After quick rest, Revy stood up, and began casting hand seals. Shortly after, she unrolled a scroll, and placed her hand on the scroll, which executed her Barrier Gate Five Seals Technique: Castle Closing Eight Gates. Though instead of summoning all 4, she only summoned one, directly in front of her, which she will use as a subject for this technique. After taking a moment to concentrate once more, she began seeding, and concentrating the chakra throughout her entire body. After moments of preparation, she had finally been ready, and unleashed all the chakra with a sudden burst. Once again, she had disappeared from sight. Where she had gone, was yet again a complete mystery, as even the most skilled of trackers would have an insanely hard time pinpointing the direction she had disappeared to. Within moments, she had reappeared with god liek speed, right at the side of the gate, at a slight angle. Just after doing so, she stretched her arm out completely, and clashed her sword against the gate. The force of which created a large noise that scattered throughout the area, and may have even been heard in Kirigakure. Holding her sword with such force, Revy noticed the gate, how it began to tear out of the ground slowly, as the ground around it began to lift. The air is displaced by the power and impact of the attack, shattering the air around the gate and drawing the gate closer to Revy, only slightly after her blade slid along the solid defense of the gate, and off to the opposite side of which the initial attack came from. The air began to draw the gate closer to revy, ripping it through the ground as it inched closer and closer, while Revy faced away from the gate, bent to the side slightly, with her sword pointing down, and the hand gripping the sword in the air. One would sometimes look at this as a way of controlling gravity, but to their unknowing, the force of the attack is simply so strong, that when blocked, or stopped, the attack creates a delay in the way the air moved, causing it to rush back at fast paced. Not only does it draw the opponent in closer, but it also keeps them from moving on their own. If one looked close enough, it would look as if a missing hole of oxygen, or air between Revy and the gate, that of which drew the opponent in as the air rushed back from the delayed effect. Just as they got close enough, Revy made a quick turn, and sent another attack using the pent up force from the first to accelerate the this blow, in an upward slice, and this hit being even stronger then the first hit. The moment the gate came into contact with the sword, it ripped out of the ground held in the air, on top of the sword, as the sword had a powerful glow to it. Only moments later, the gate sliced into 2, and crumbles to bits as it flew into the air, and fell as useless destroyed steal. Being satisfied with what she had accomplished, and slightly worn out, Revy sheathed her sword, and packed her things. Placing her bag back on her shoulder, she was rather happy that she had managed to perfect this technique, as this would set her in the books of history, if this Jutsu were to ever become mainstream again, which she highly doubted ever would. Chances are, this technique will die with her, and she didn't seem to care to much about that. Revy slowly made her way back to Kirigakure, with a rather bored look on her face.